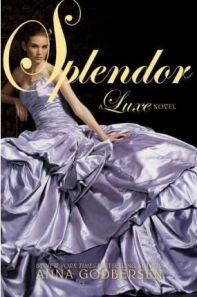 Splendor is the fourth and final novel in the Luxe series by Anna Godbersen. Set among the upper classes of New York at the turn of the twentieth century, it follows four young women as they make their first steps into an adult life, full of passion, heartbreak and backstabbing. In book number three, Envy, we saw Elizabeth Holland marry Snowdon Cairns to avoid disgrace; her sister Diana was determined to follow her love Henry Schoonmaker when he enlisted in the army to escape the wife he loathes, Penelope Hayes; and Carolina Broud finally got her dream of untold riches. 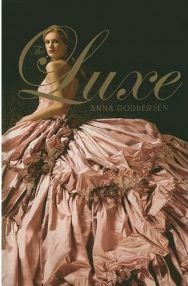 The Luxe by Anna Godbersen is a novel set in New York in 1899, at the height of the super-rich society families for whom appearance was everything. It is about a group of young people, all of whom want to break the constraints of their lives in different ways and for different reasons. The very first page of the novel is the funeral announcement for Elizabeth Holland. After a glimpse of the funeral, we are taken back in time to a few weeks before to find out what happens. This is a bit of a strange start, opening with the funeral of one of the main characters, but it does have a page-turning effect, as you always want to keep going to find out what happened to Elizabeth during what should have been a special time of her life.